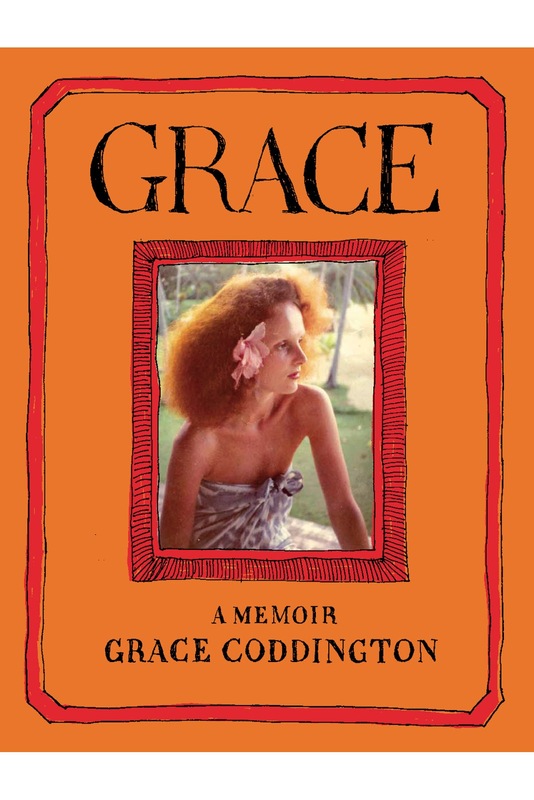 I've just started reading Grace Coddington's Memoir and am already loving every second. Quite aside from giving an insight into the heady heights of American Vogue, it's beautifully illustrated, packed full of gorgeous photos and so readable that I've already whizzed through several chapters. Grace shot to fame after starring in the fashion fabulous film, The September Issue, a documentary following the Vogue team as they put together the 2007 fall fashion issue. She famously commented that the bikini was the most important thing since the atom bomb, and this documentary about the Empress of Fashion is stuffed full of deliciously similar Vreeland soundbites. The beautiful retrospective of the fashion tour de force who edited Harpers Bazaar and Vogue, really shows how the fashion magazine has become the all-powerful force that it is today. The film adaptation of Lauren Weisberger's bestselling novel which is speculated to have been based on her real life experience working for Vogue's editor-in-chief, Anna Wintour. Fashion world insight aside, the film also showcases some heart-stopping style and Meryl Streep's turn as icy editor, Miranda Priestly is fantastic. This documentary chronicles the life and career of Valentino Garavani - master of couture, father to a pack of pugs and king of the tantrum. We see everything from dress fittings to star studded parties along with a bit of hilariously bitchy bickering between Valentino and his partner and business associate, Giancarlo Giammetti. Sophia Coppola's Marie Antoinette is a complete riot of decadent, frothy, over-the-top costumes finished off with a high-top trainer. Fun and aesthetically dazzling, you'll want to eat cake while wearing a ball gown after watching this film. A peek into the bonkers world of a fashion genius, Karl Lagerfeld. This extended interview attempts to lift the curtain surrounding the elusive Chanel designer and is worth watching for the Karlisms alone... "When I took on Chanel, it was a sleeping beauty - not even a beautiful one; she snored". One of my all time favourite films, I absolutely adore Breakfast at Tiffany's and it's undoubtedly one of the most glamorous films ever made. Audrey Hepburn in that black Givenchy dress and pearls has to be one of fashion's most iconic images. Documentary following The New York Times' fashion photographer, Bill Cunningham, as he goes about his street style snapping on his beaten up old bicycle. Funny and at times poignant, the film peels back the glitz and glamour and paints a moving portrait of the man behind the lens whose sole, all-consuming passion is fashion. Fashion designer, Tom Ford's, film directorial debut, A Single Man is as startlingly beautiful as you'd expect it to be. Based on a novel by Christian Isherwood, the film centres around Colin Firth who plays a gay British college professor living in California in the 60s. With incredible performances from Colin Firth, Julianne Moore and Nicholas Hoult, the film also provides a very stylish snapshot of sixties suburbia. I didn't know about the Valentino movie!